Some of the most common eye lid problems are inflammatory and allergic. Skin cancers of the eye lid commonly seen as well. The most common problem we see is chronic blepharitis. 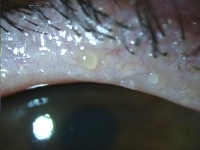 In this condition the eye lid oil glands produce a thick oil that disturbs the tear film and causes the lids to swell and be sticky. Patients frequently are frustrated by the condition because they get treatment with drops only to find the condition returning after the drops are stopped. It is a frequently missed cause of dry eyes. The abnormal oil damages the tear producing cells of the eye and cause the tears to evaporate more quickly. The key to treatment is changing the patient’s and the doctor’s understanding of the disease. Instead of treating each flare up, there are simple things that one can do to suppress this chronic condition. 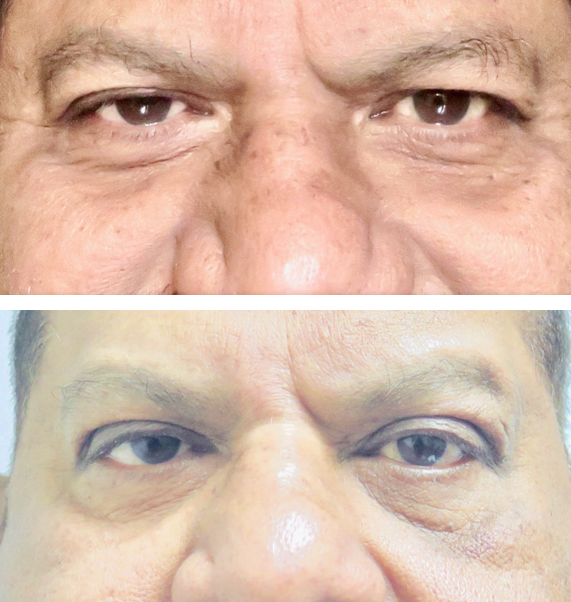 Tear use, avoidance of punctal plugs ( which just trap the abnormal oil on the eye), hot compresses (not lid scrubs) all help if done as maintenance treatment. Chronic low-dose oral Doxycyline or Azithromycin (used for its anti-inflammatory, not its antibiotic effect) can help more severe cases.